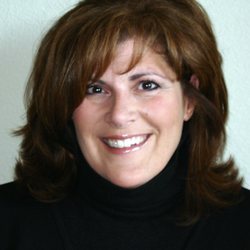 Karol Vander Ploeg, Realtor® - Top Agent RE/MAX Properties, Inc.
People look to Karol Vander Ploeg and The Vander Ploeg Group for sound advice and professionalism. This job is much more than matching Home Buyers and Sellers. Sometimes there are blind corners in real estate transactions – you need a Realtor® that can solve problems and will be there to guide you before, during, and after the transaction. Selected as a member of the 2017 Peak Producers, Karol has set herself apart as one of the best Real Estate Agents in Colorado Springs and the Pikes Peak Region. "My experience, knowledge, tenacity, and willingness to go above and beyond ensure the best opportunity for success. I am lucky – I get to solve problems and be creative. I am grateful for lifelong client admiration and friendships that I have made along the way." The RE/MAX brand opens doors, but the local reputation, strong market share, and community outreach of RE/MAX Properties, Inc. provide value added services. There is truly no limit to what we can achieve. Karol recently helped us purchase a property in Colorado Springs, even though we were living out of state. She listened carefully to our requirements, was always available immediately when a new property hit the market, and researched each property right away. She willingly met with our student son to tour properties, and made many videos for us. She ultimately helped us purchase a great property, beating out several other buyers with a creative offer. I definitely recommend Karol's services.